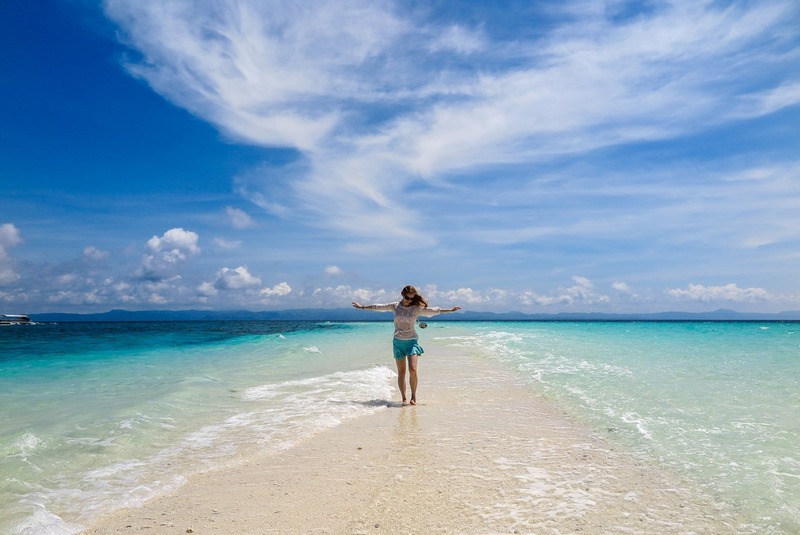 Kalanggaman Island, also known as Calangaman, is a pristine islet in the Philippines with gorgeous white-sand beaches and crystal clear turquoise water. It’s nearly impossible to put into words how incredibly beautiful this speck of land is. It left me absolutely speechless. 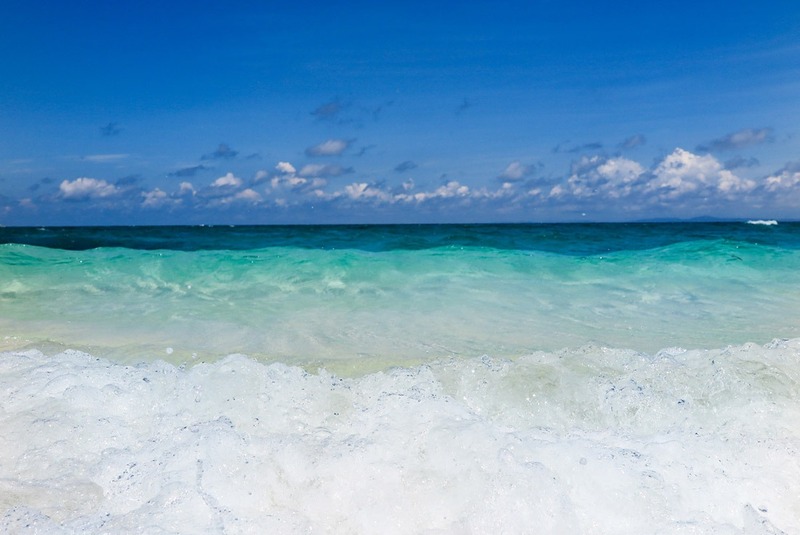 Already the first glimpses of the white sand and abundant coconut trees in the middle of the ocean will give you goose bumps. First glimpse of Kalanggaman Island! Everyone on our trip fell in love immediately upon arrival, we ran from one side of the island to the other to see the beauty with our own eyes and to capture it on all the devices we brought. 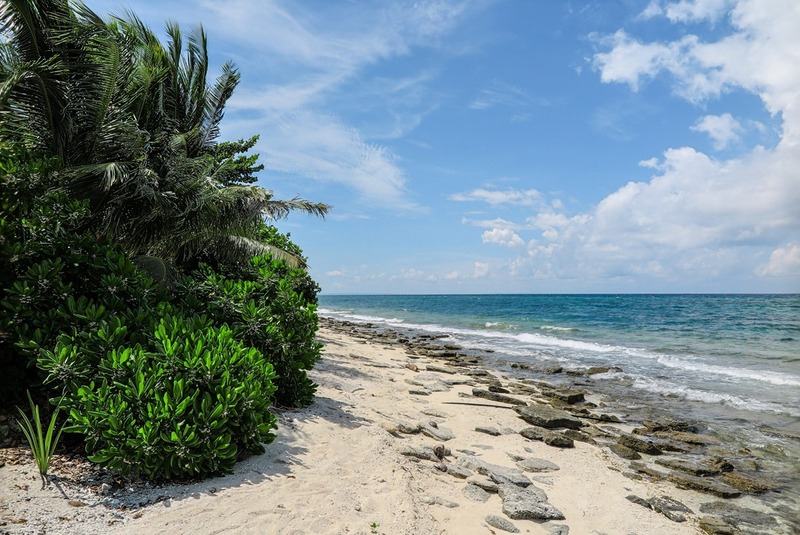 After several rounds of jumping into the water and relaxing on the beach, the strong sun will force you into shade. That’s no less pleasant, though, as the coconut palms provide the most beautiful shade. No matter how long you might stay in Kalanggaman, it’ll feel too short. 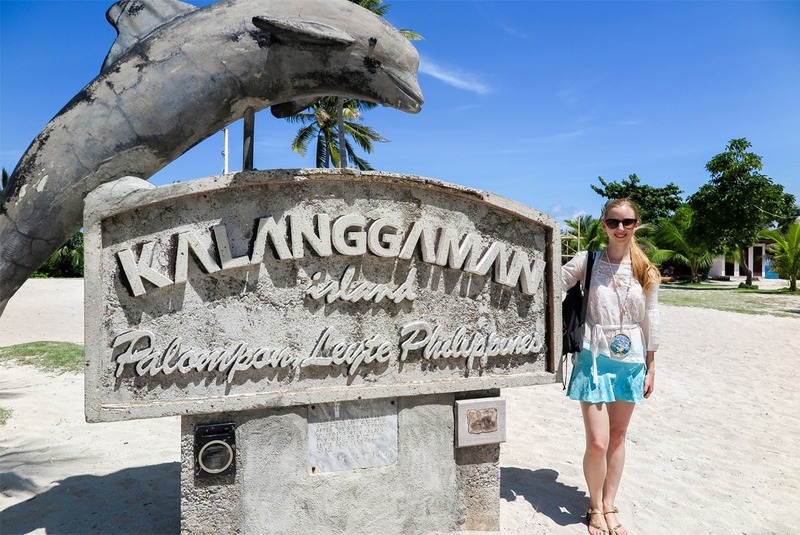 Learn about Kalanggaman and the Philippines from a Lonely Planet Guide. Click here to see it. The sandbar disappearing under the waves that come crushing from both sides. And the rest of the islet, when looking from the sandbar. The pristine stretch of white sand along the coast of Leyte makes it undeniably one of the most stunning places I’ve ever seen. 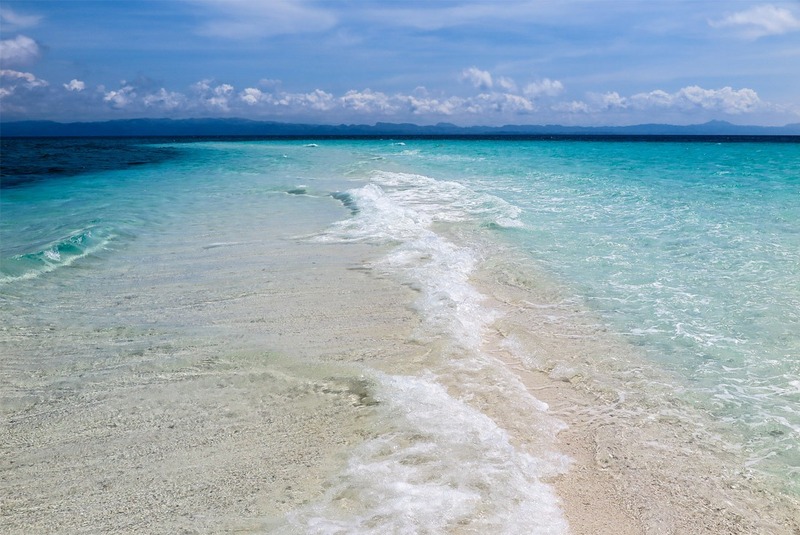 The pristine inviting waters of Kalanggaman. 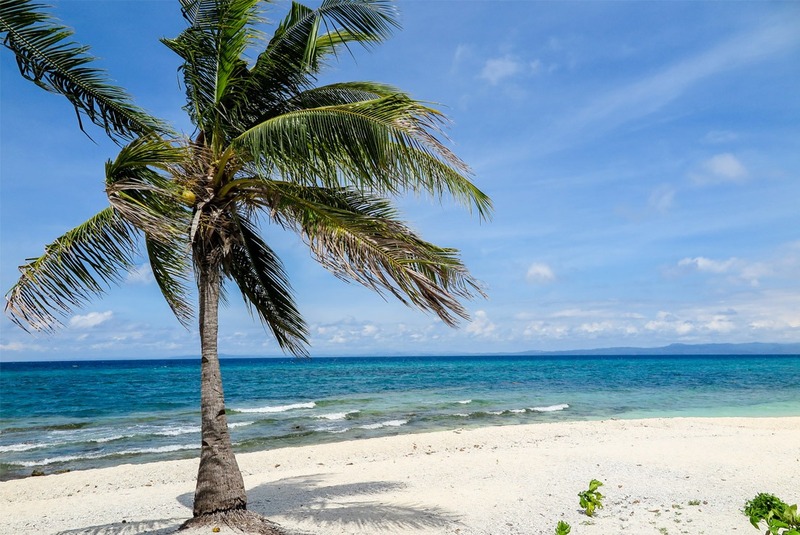 Beaches and palm trees go so well together, don’t you think? The other side of Kalanggaman: Rocky and green. 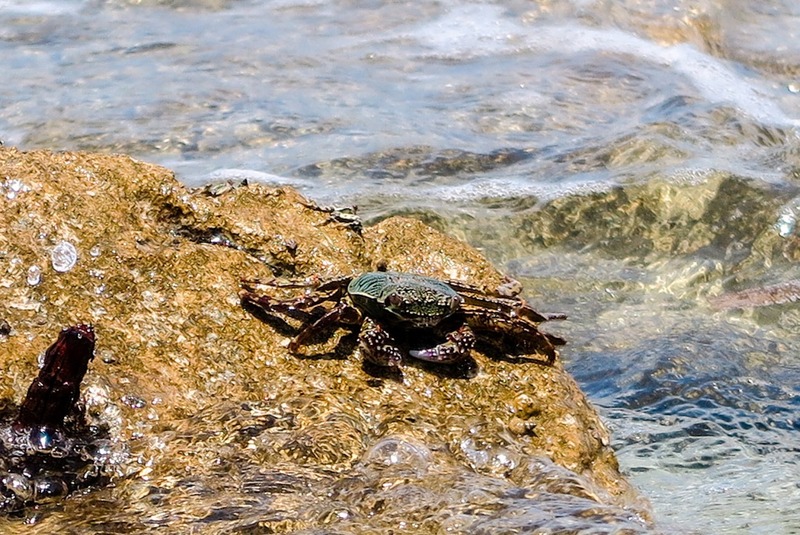 Say hi to a shy crab who didn’t want to pose. 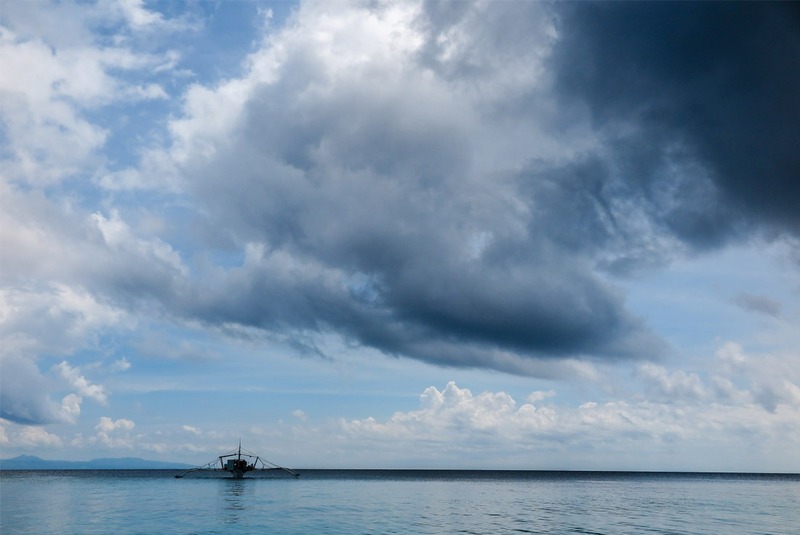 You’ve surely heard about the catastrophe the tropical storm Haiyan caused in the province of Leyte in the Philippines in November 2013. Unfortunately Kalanggaman wasn’t spared either. The storm destroyed what little had been built on the island, but a swift cleanup process took place and you almost wouldn’t recognize that the typhoon had even been there. 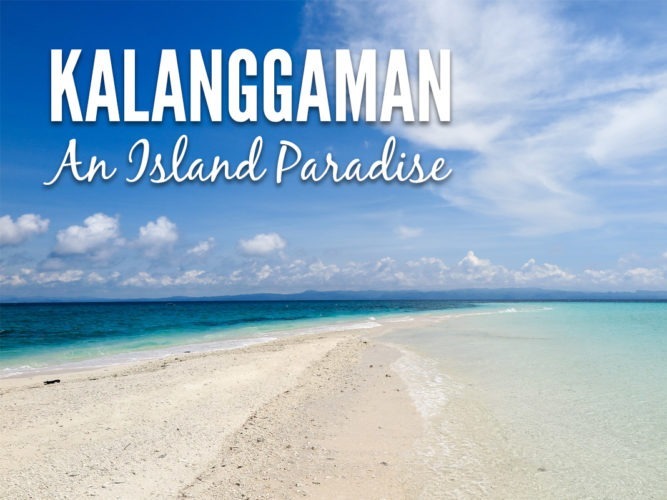 There used to be sand bards on both sides and the island’s shape resembled a bird when viewed from above, which is how Kalanggaman got its name. 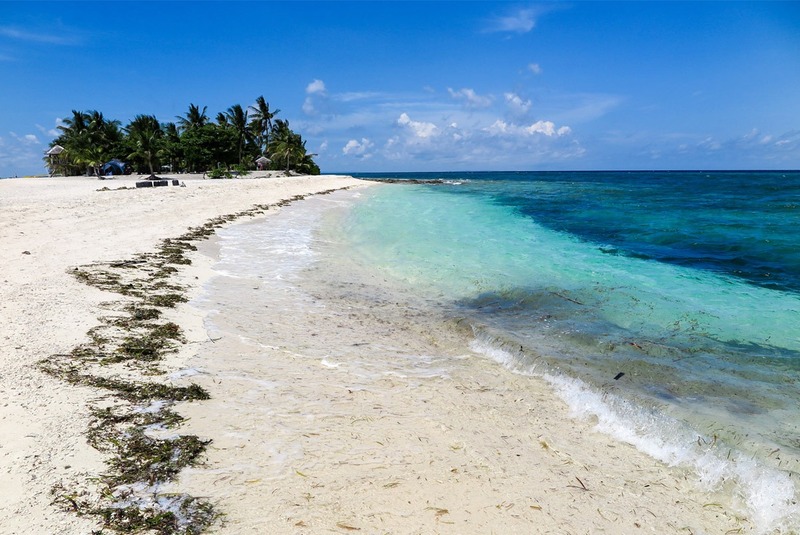 However, Haiyan washed one of the sandbars away. 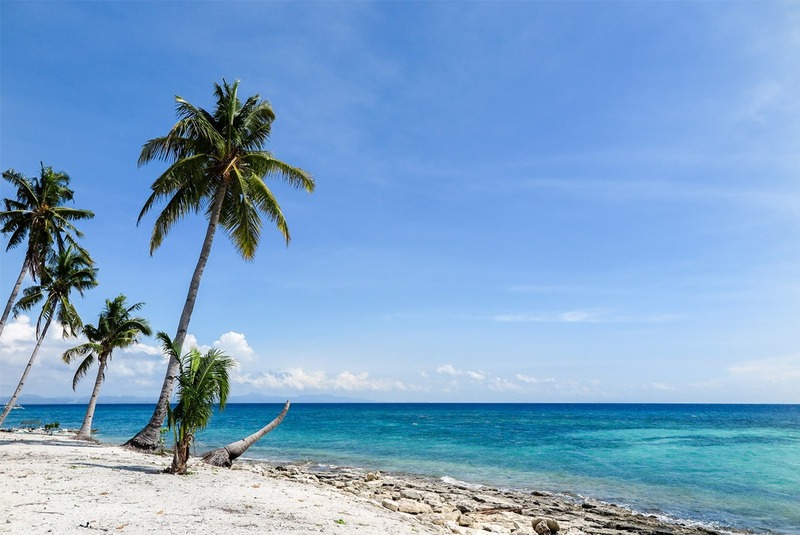 The very last reminders are a few trunks of coconut palm trees and a worn out sign. 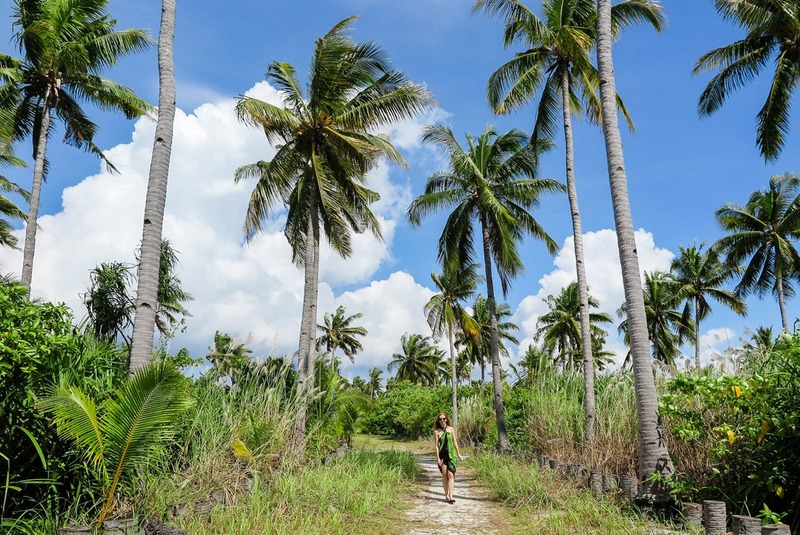 Coconut palms of Kalanggaman.. the healthy ones outnumber the ones damaged in 2013. This sign is the only manmade thing that survived Haiyan’s ravage. 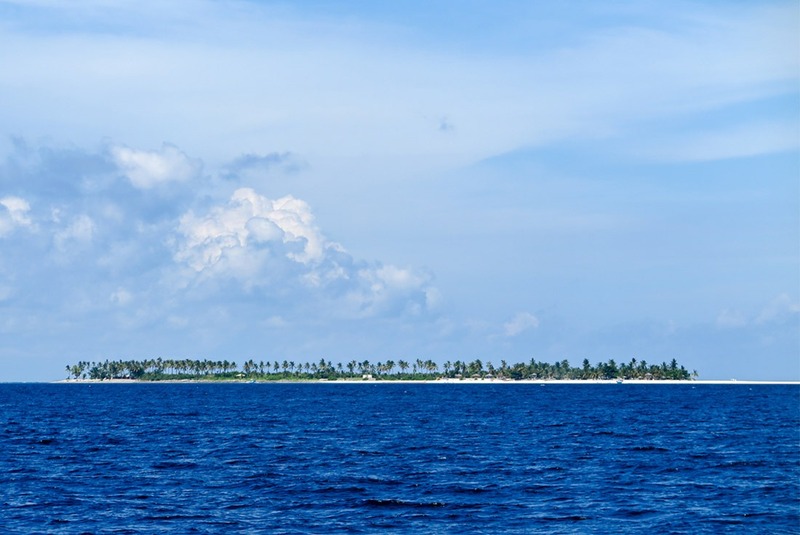 Kalanggaman is a tiny island, just 753 meters long! You can walk around it in an hour or so. There’s a gorgeous sandbar on one side of the island. A long stretch of perfect white sand full of tiny seashells where opposite-going waves crush into each other and caress the sandbar. This particular place on the islet presents a photo opportunity that you won’t experience elsewhere. A perfect spot to pose, jump, do headstands, kiss your loved one or whatever you feel like. Despite the look on my face, I’m loving Kalanggaman! If you have sensitive feet, walk the sandbar with flip flops on. Seaweed in paradise. I’ll take that. Beautiful sand everywhere.. So enjoyable! 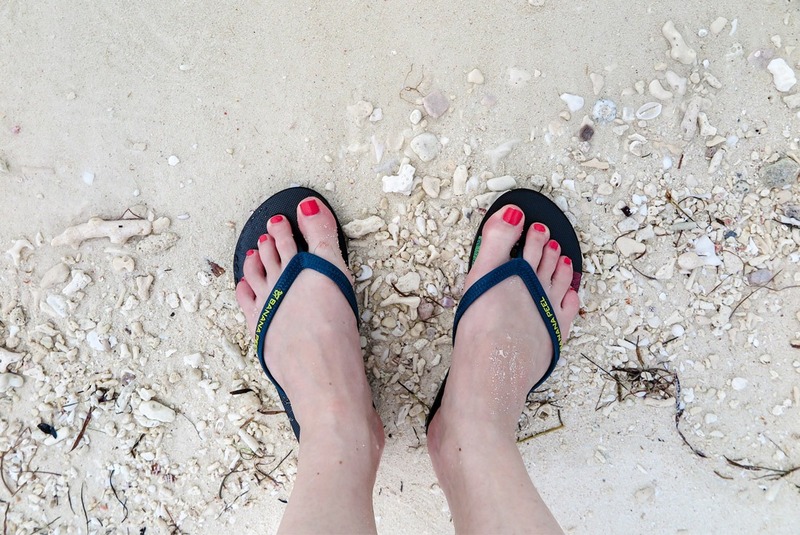 I loved my Banana Peel flip flops too, got them in the Philippines. 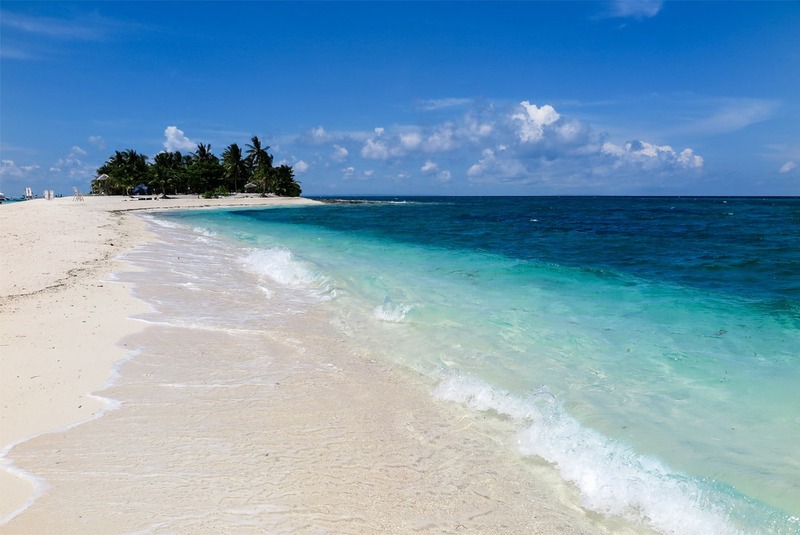 Obviously, the most recommended thing to do is just chill by relaxing on the smooth white sand and jumping into the crystal clear waters whenever your heart desires. 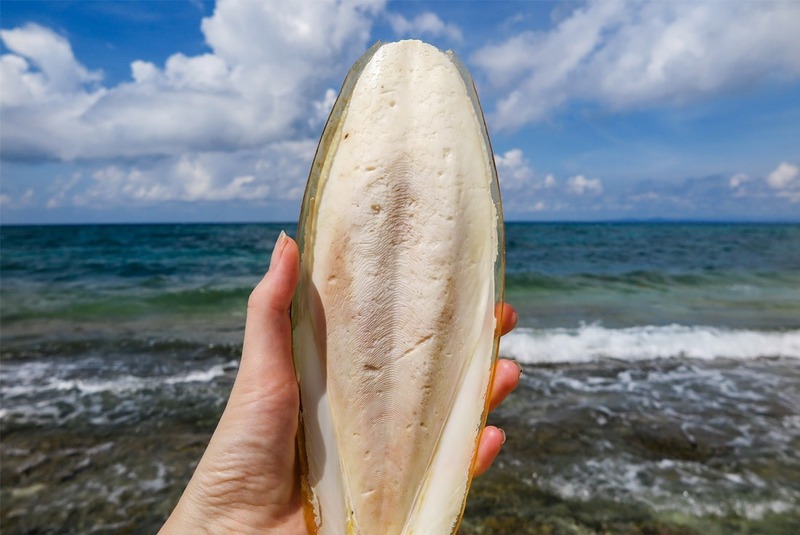 Walk along the shore, collect seashells, observe shy crabs of all sizes and marvel at what a masterpiece Mother Nature has created. You can also snorkel and dive, but you have to arrange everything in advance, unless you have your own gear and can dive independently. There may be kayaks and paddleboards available for rent but there’s no guarantee, so don’t fully count on it. Trouble in paradise! The cloud came and went, though. 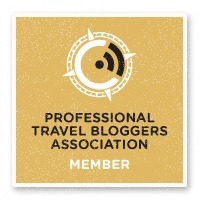 Check out also this local guide on all things Philippines travel. When I visited, we stayed on the island from noon until about 4 pm. I can only imagine what it feels like there when the day trippers are gone and you have it mostly to yourself. To wake up on an island like that must be a dream come true. So staying overnight is possible but there are no accommodation facilities on the island. At the time of my visit (October 2016), however, they were building a tree house and a few huts for overnight visitors to stay in. According to this blog post about amenities on Kalanggaman, the tree house and huts have opened already as of 2017! You’re always welcome to bring your own tent or just sleep under the starry sky. There are no animals on the little island, so nothing should bother you at night. October 2016: A treehouse and some more facilities being build. Bonus point: there are no mosquitoes! Resting in the shade of a coconut palm tree.. what a paradise. 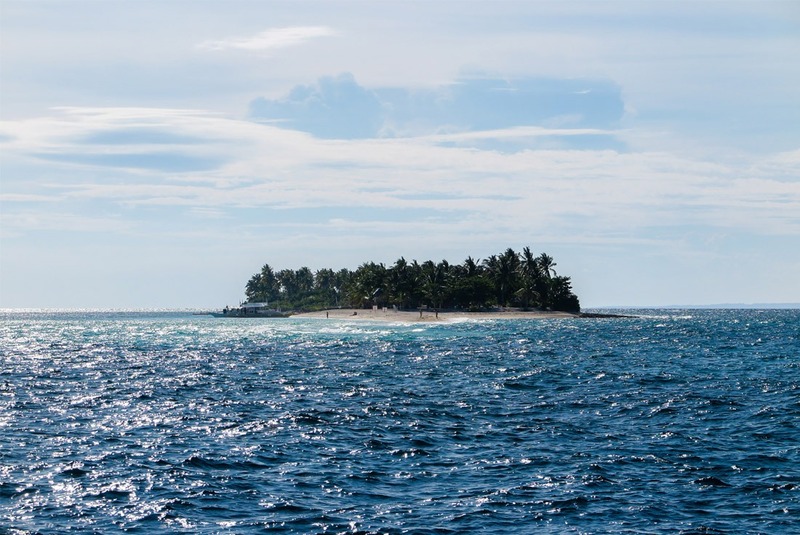 Visiting the islet via Palompon is relatively easy. From Palompon you’ll simply need to take a pump boat to the island. 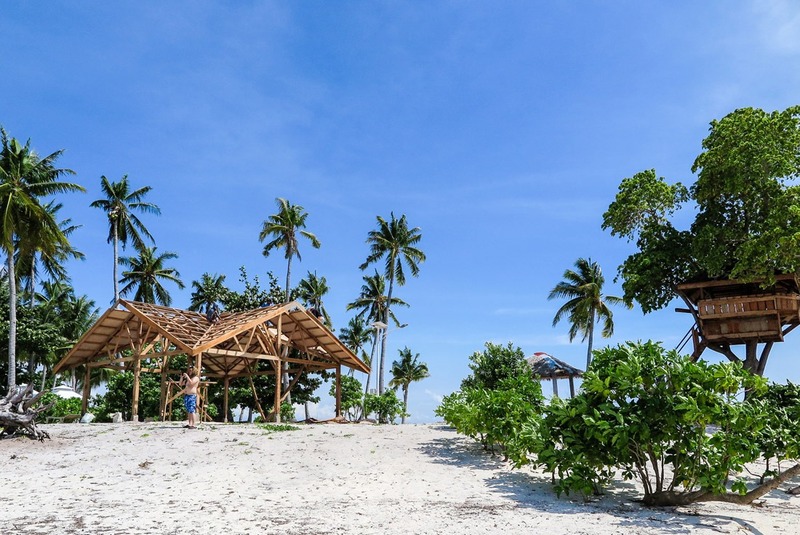 A few days before you arrive to the area, you’ll need to book a visit to Kalanggaman Island via Palompon’s Ecotours Office (the local tourism board). Here they control the number of people heading to the island, they collect fees and arrange boat transportation as well as accommodation for those planning to stay overnight. The high season is from April to May. To travel to Kalanggaman during that time, you should arrange everything far in advance, just to make sure. If you’re less than 15 people and want to save money on the pump boat by sharing it with others, enquire about it at the Ecotours office in advance. 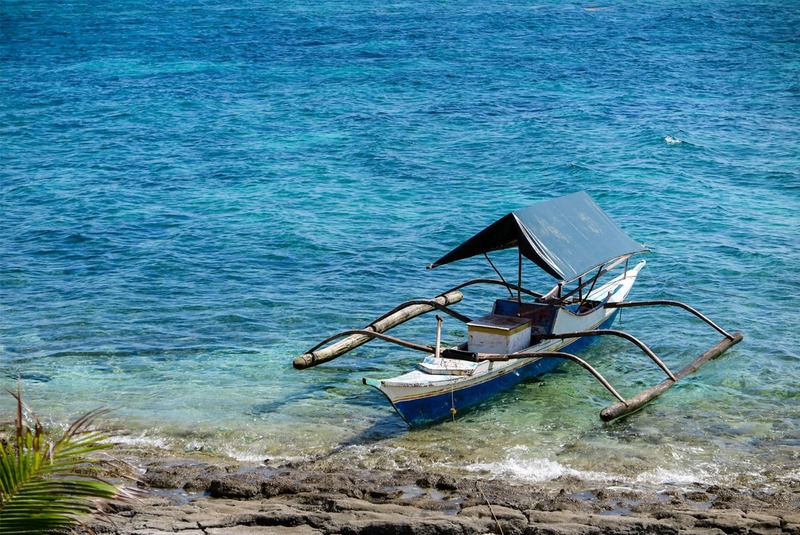 Some travellers prefer contacting others planning to visit Kalanggaman to share a boat on a specific date. Here’s a forum for that. Alternatively, once arriving at the Ecotours site, wait for a boat to fill up. 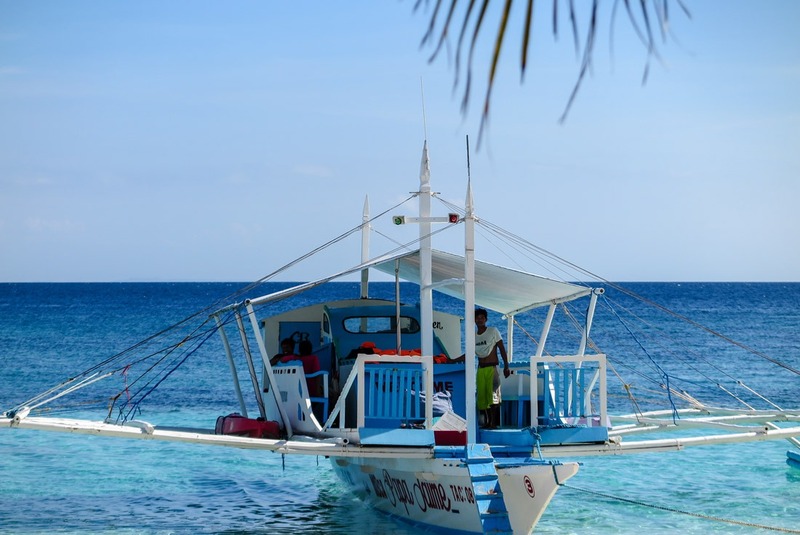 Once in Palompon, visit the Ecotours office, pay the necessary fees and hop on a pump boat. After that, the paradise is only 40 minutes away! If you prefer arranging all online, there’s also a Facebook page for booking a visit to Kalanggaman via the Ecotours office. But I have no idea how well it works. A tiny pump boat for fishermen. No worries, not for visitors! Possibly the easiest way to get to Kalanggaman is from Tacloban, the capital of Leyte province. Tacloban has its own airport with frequent flights especially from Manilla and Cebu. As I wrote in my other post, I think Tacloban is the best base for exploring the whole Leyte. From Tacloban, get a bus or a minivan to Palompon. It should take 2-3 hours. Buses and vans depart mainly from Tacloban’s New Bus Terminal, also referred to as Tacloban City Land Transport Terminal in Barangay 91 Abucay. There are Palompon-bound vans departing from Ormoc Terminal. It takes about an hour. The easiest is to travel from Cebu to Ormoc and take it from there. You can fly (from Mactan International Airport), take a van, or even take a boat from Cebu City Pier to Ormoc. There are also boats going straight to Palompon. The trip length differs depending on what type of vessel you choose. There are Palompon-approved tour operators that can take you to Kalanggaman from Malapascua island withouth having to stop in Palompon. 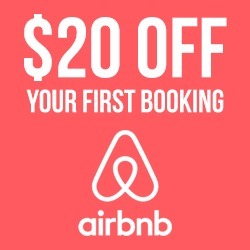 You pay all fees to the tour provider. The voyage by sea takes about 2 hours. I know, it’s a little difficult to get to, but that’s surely the main reason why the island still keeps its off the beaten path status and rarely hits the limit of 500 visitors per day. The rates for international visitors are at P500 per day, or P750 to stay overnight. The pump boat currently costs P3,000 with a capacity for up to 15 persons. The pump boat that took us to Kalanggaman. Expect a similar one if you go! The beauty of Kalanggaman Island honestly took my breath away. To such extent, actually, that I looked into having a wedding there! I definitely want to return one day. Till then, it’s your turn to explore its splendor. Will you rise up to the challenge? 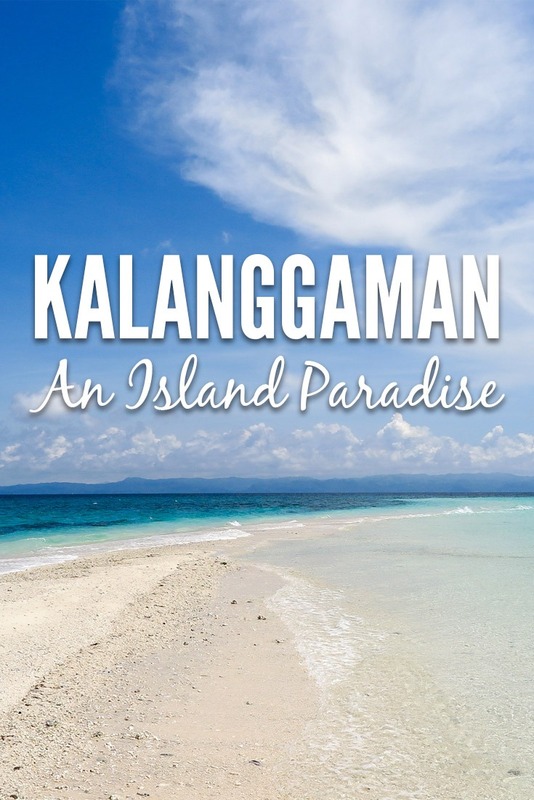 Have I enticed you to visit Kalanggaman? What other paradise on Earth have you come across? 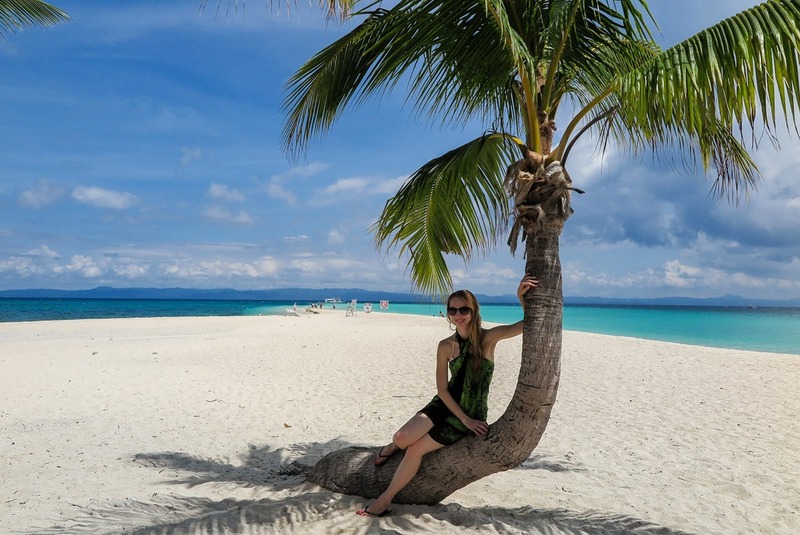 Disclosure: Veronika was hosted by the Philippines Tourism Board on a trip to Leyte. All opinions presented are her own and unbiased. 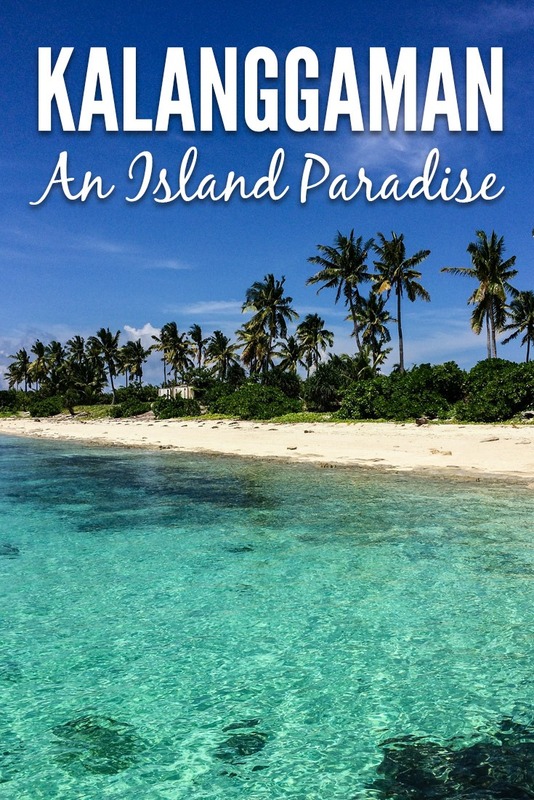 Love deserted island paradises like this one … awesome post! Thank you, Beth! Yes, this one is truly special :) Go see it for yourself! 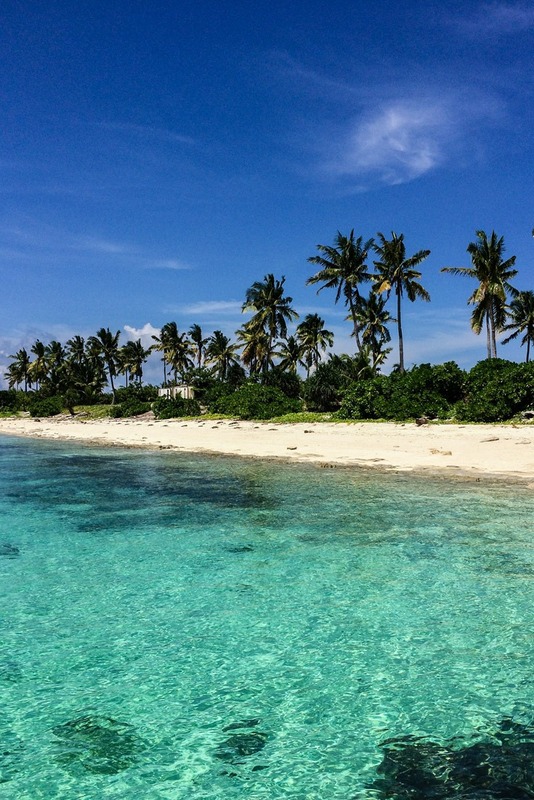 Kalanggaman Island is definitely paradise on earth! 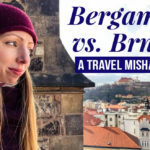 Loved everything about this place and I’m adding it to my bucket list, Veronika! We plan to visit this island in mid Februrary and stay overnight with my friends and family. 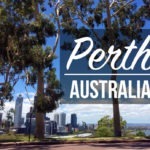 Is it a good month you think to visit? I leave in China and have no idea about the weather in Philippines during that month and I just want to make sure it will be a momorable trip in this island paradise. So excited to go back home…..